Earlier this week, I shared our children's holiday bedroom. I especially love to walk in there at night to enjoy the warm glow of their colorful tree lights! 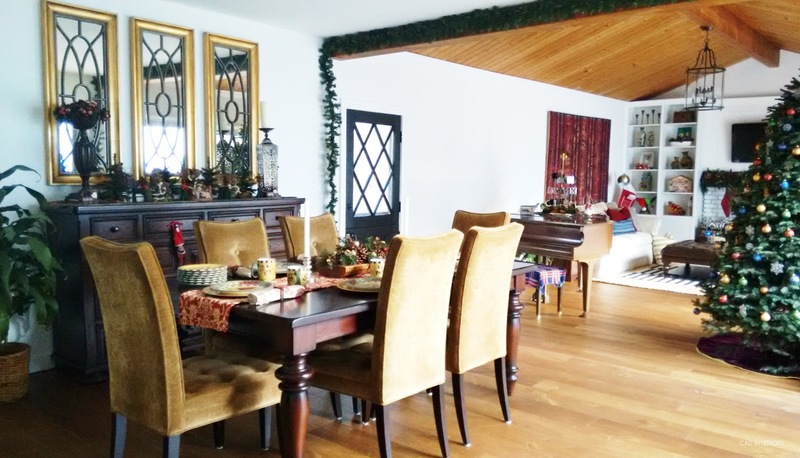 Today, I'm continuing the tour of our holiday home and sharing our dining room with you (with a peek into our newly remodeled family room decorated for the holidays). 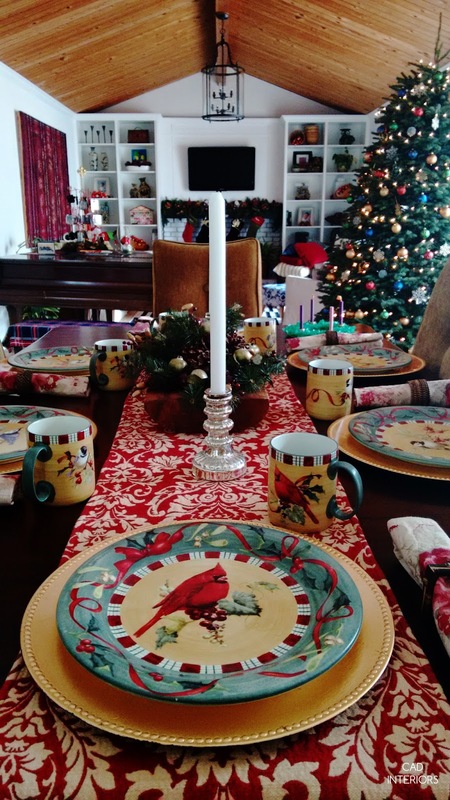 We don't have a formal dining room, in that it isn't a separate room in our home. It is a "transitional" room that lands directly between the kitchen and family room - with all three rooms comprising a great room. 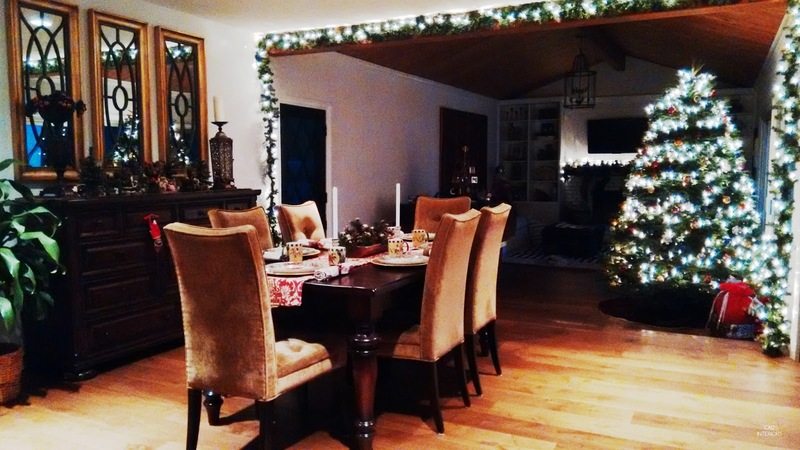 Because the spaces are open to each other, I kept the holiday decor cohesive throughout. 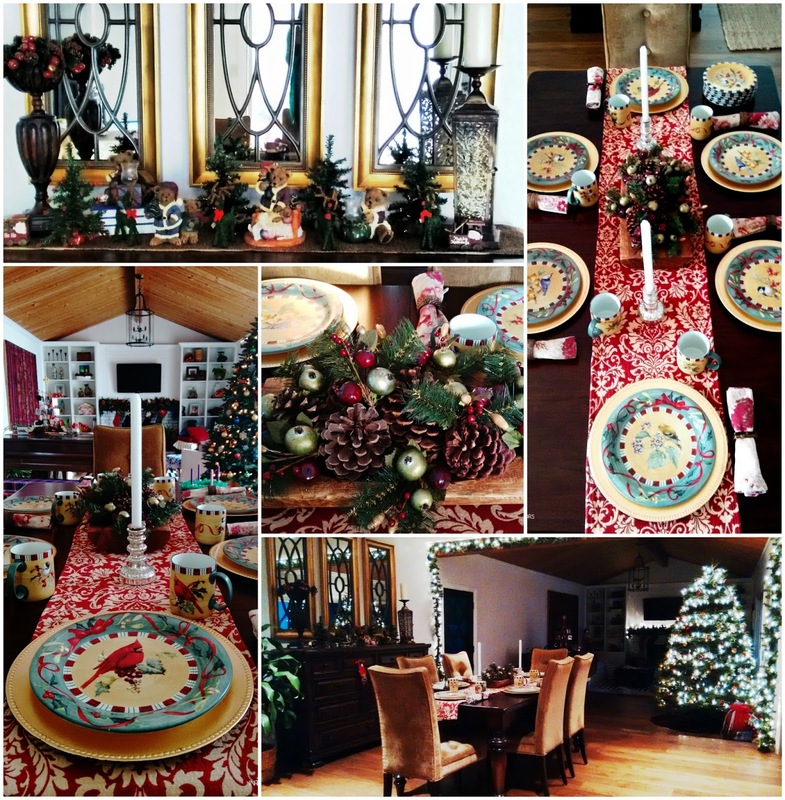 This year, I decorated with a classic Christmas scheme - adorning the house with traditional holiday colors of red and green. 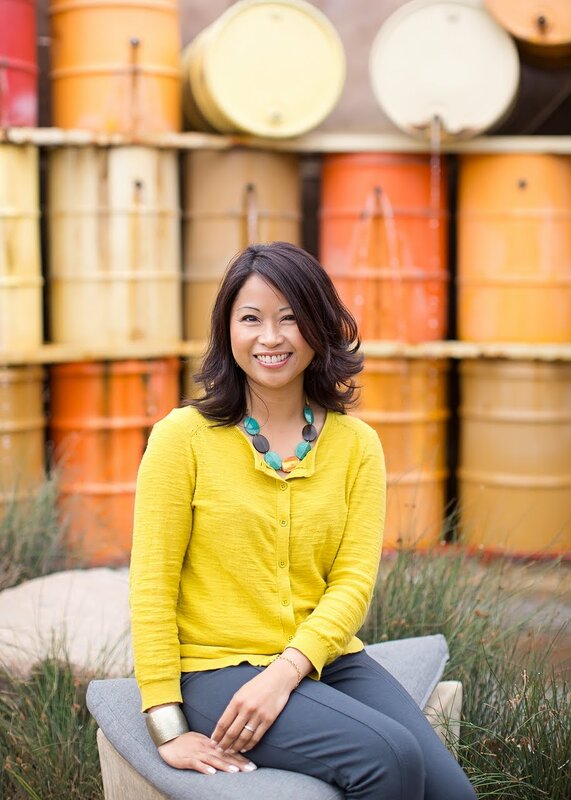 I also mixed in jewel tones, metallics, and rustic textures for depth. All the decor is from my existing Christmas hoard stash but I cited any sources that I could recall. Our dining room is actually in the work-in-process stage, just like the kitchen and most rooms in our house! It's a small space, but it packs function and is an essential room when we entertain. Eating, conversation, and memory-making happen in here! 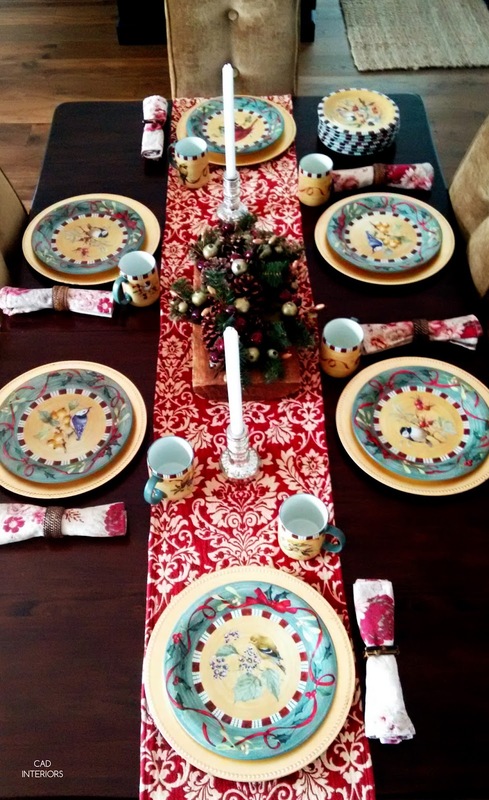 I don't usually set the table ahead of time, but this year, it became part of the holiday decorating. Bring on Christmas brunch! 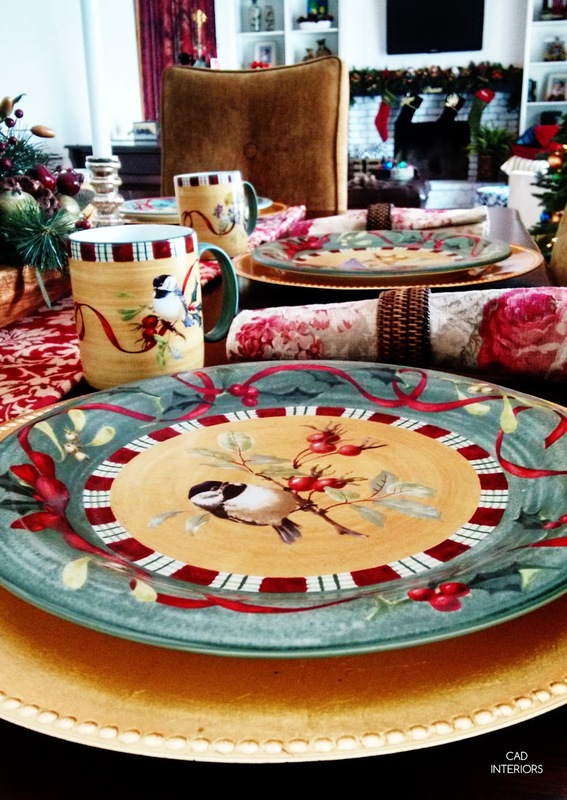 I have owned this collection of Lenox holiday dishes for over a decade. I love the various birds that comprise the design. 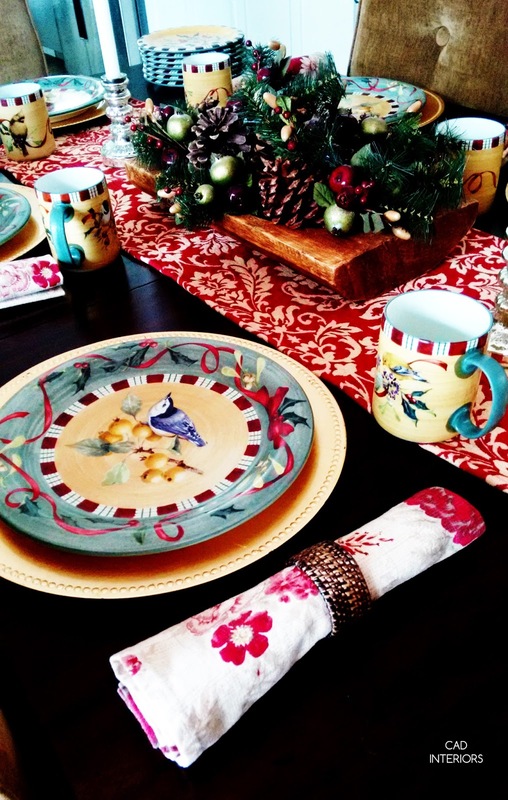 The seasonal tableware coordinates perfectly with this year's holiday scheme. 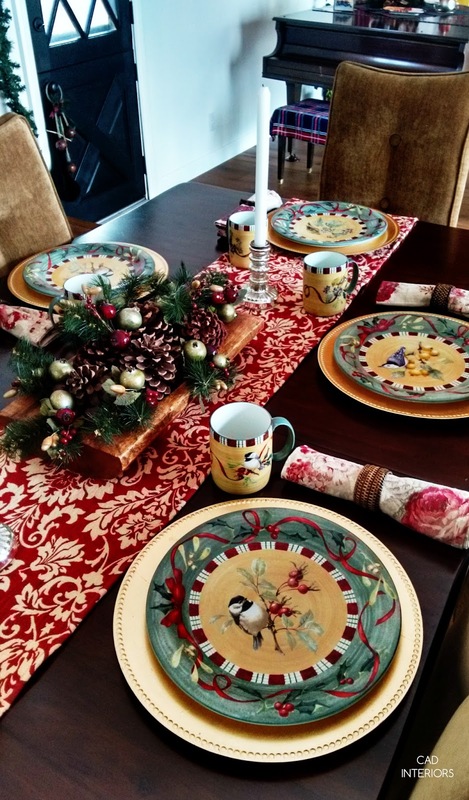 The floral cloth napkins happened to compliment the dishes, and collectively, the table setting reminds me of a classic country-esque Christmas! 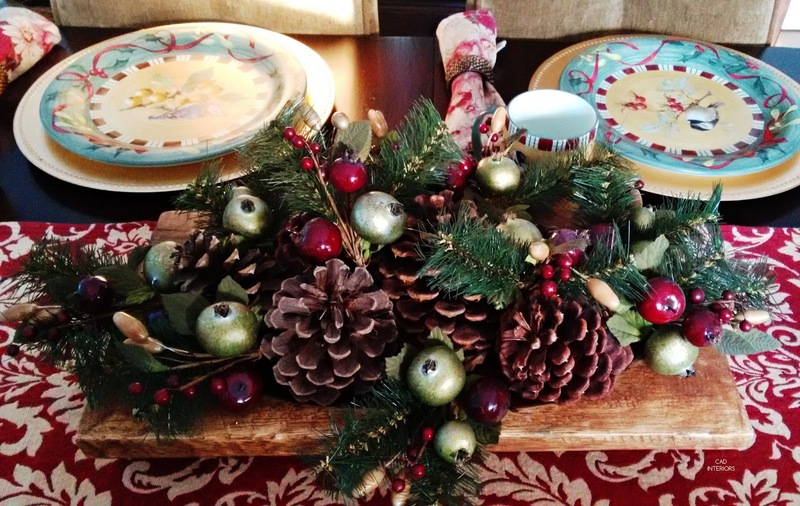 For the centerpiece, I filled a shallow wooden vessel with real pine cones and artificial berry picks. It took me two minutes to put together. Quick and easy is right up my alley! I prefer low-profile centerpieces for easy viewing across the table. Simple white taper candles on metallic holders flank the centerpiece for evening ambiance. The juxtaposition of rustic textures (woven napkin rings, pine cones, wood bowl) against the mixed metallics of the plate chargers and candle holders keeps things interesting! 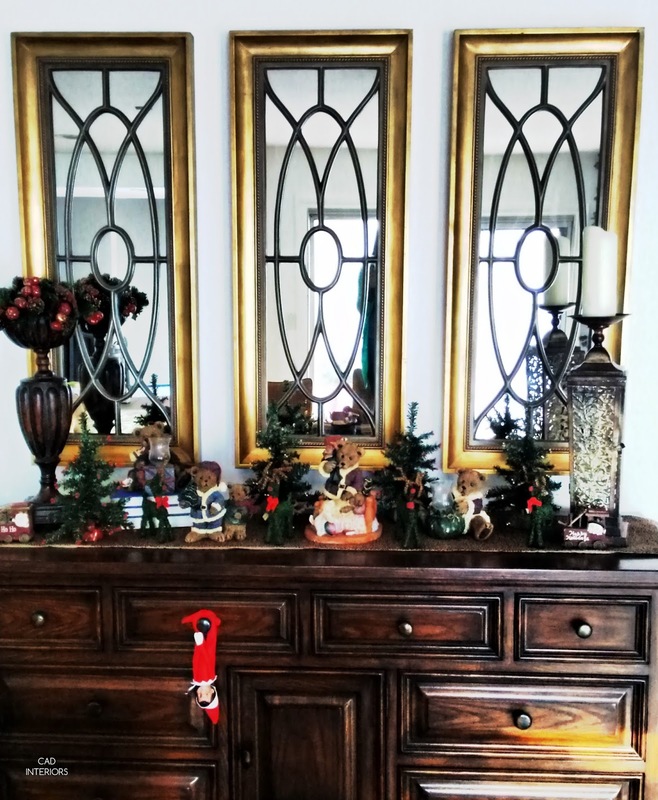 The sideboard, which is actually a dresser, got some festive touches too. 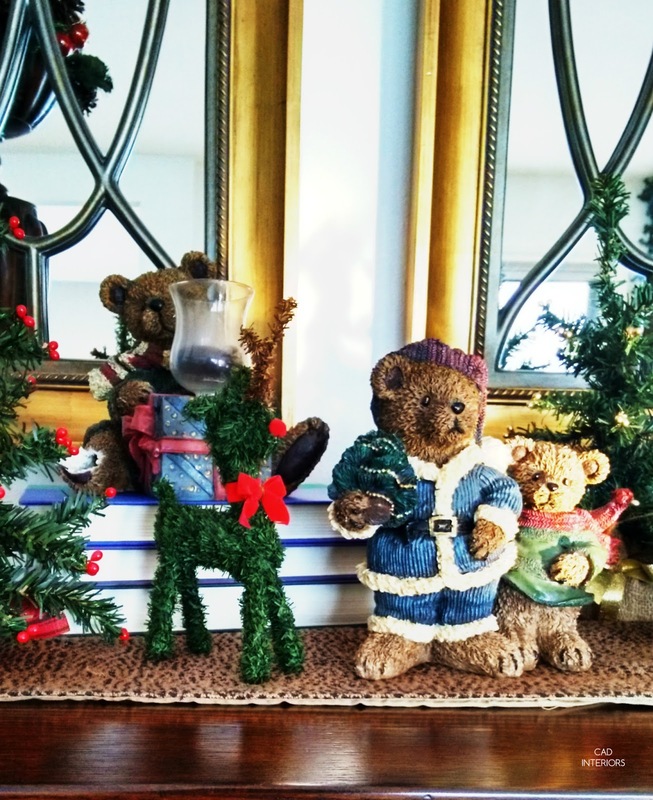 I arranged our collection of Christmas bears over here, among some trees and reindeer. Don't mind our elf, Coconut, who was hanging around the day I took these photos! We still don't have a chandelier in here, but the twinkling lights from the nearby Christmas tree and the garland strung on the beam above (plus recessed lights on a dimmer) help keep the room cozily illuminated! Check in next week for a holiday tour of our guest bathroom and family room. Have a merry weekend!